This entry was posted in Substance Abuse and tagged Addiction, Adolescents, Process Addiction, Signs and Symptoms on July 25, 2016 by Baxter Ekern. Contributed by Keystone Treatment Center clinical team member Kathryn Taylor, MA, LPC/MHSP. The mechanics of drug addiction is a complex study that has taken many decades for scientists to crack, and even more information is discovered every year. For many years, people mistakenly believed that substance addiction and dependence mostly stemmed from lack of morals and willpower, rather than it being the manifestation of a dangerous disease. The truth is, addiction (now known as substance use disorder) is like any other disease, and can be treated. While every case is unique, substance use can begin in a number of ways. Sometimes substance use begins with peer pressure, easy access to substances, or other social circumstances. In other cases, individuals may use substances to treat anxiety or to numb other types of emotional distress. Other times, addiction may begin with a prescription for a legitimate medical need. Sometimes, young people will try a number of substances and not become addicted or dependent, and in other cases, individuals may home in on one particular substance and become a habitual user. With recent groundbreaking discoveries about drug addiction, science has proved that knowing more can actually increase the possibilities of treating this condition. Being informed and educated about this condition can help an individual, a friend, a family and a parent to deal with addictions. The Science Of Addiction: What Is This Disorder? Addiction is a disease that affects the brain and cognitive processes. Initially, reward centers of the brain are activated by the use of a substance – with subsequent changes in thinking, sleeping and even feeling. Addiction involves physical or emotional dependence on a substance (or even a behavior, as seen in gambling addiction or internet addiction). The addictive substance (or activity) makes the individual feel or not feel something. The brain gradually rewires itself to crave more and more of the substance or activity. Once an individual develops a dependence on a drug, the substance can negatively affect his or her cognitive and physical experiences. Sometimes, substance use can trigger a mental health condition, or a mental health condition may trigger substance use. Fortunately, integrated treatment works to alleviate both conditions at the same time. It is very important not to waste time seeking treatment for addiction. Teens and young adults are able to make very positive life changes if treatment is available quickly. Without treatment, addicted individuals are at risk of overdose, accidents or far-reaching consequences that can impact their futures. How Does Drug Addiction Affect The Brain? There are many types of drugs and types of drug addiction. Each drug may have different uses and treatment requirements. Thus, each of these also has different effects on the body and the brain. Studies show that, most commonly, substances interrupt the communication system of the brain and the nerves, therefore disrupting activities of the body. The result is either slowing the communication of the brain, which leads to the slowing of movements and actions, or an increase in communication, which explains hyperactivity or an inability to rest. Drugs affect nerve cells in one way or another, even those that are not abused. This is how drugs are built: They alter a process to cure a certain physical condition. However, when used frequently, substances can totally disrupt the nerve and brain processes, which can lead to impairment. For teens, this can lead to an inability to retain information and lack motivation for school, family and friends. These effects are particularly detrimental to a developing brain. How Does Drug Addiction Affect Physical Health? Although prescription drugs are used for physical or mental health, abusive use of those substances can also have serious effects on one’s well-being. If not treated, prolonged drug use can lead to premature death or death by overdose. How Do I know If My Child Is Using Drugs And Becoming Addicted? Drug addiction is often easily identifiable, mainly because drug use and abuse can have huge effects on an individual’s attitude, way of talking, and eating and sleeping habits. In some cases, a user can also demonstrate a significant change in weight. Most teenagers experience physical changes and emotional changes that make it difficult to determine the cause of the problem. It’s important to spend time with your child and talk every day, get to know each other better, and develop trust. Strength in communication will help you quickly determine if your child is at risk. It is no secret that drug addiction is dangerous for an individual and the people around him or her. It can affect the physical, mental and emotional aspects of an individual, and it can lead to deterioration of the mind and body. 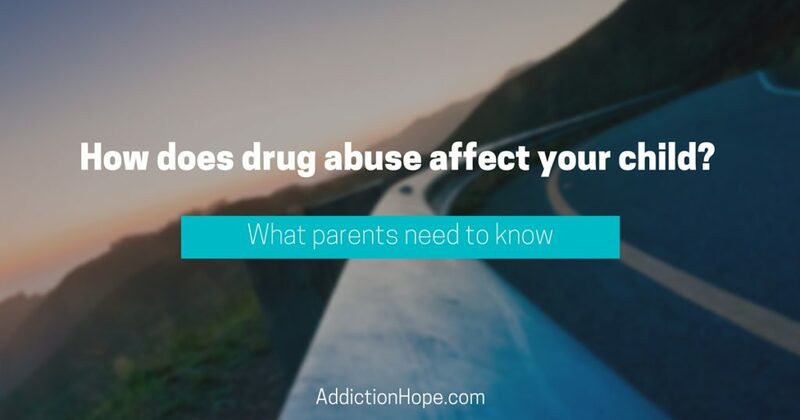 Parents need to be fully equipped with the knowledge of how to identify and treat a possible drug addiction in order to help their own children, or even the kids of friends or family. What has been your experience with drug addiction, and how has your experience impacted how you are talking with others about addiction? Please share in the comment section below. “The Science Of Addiction: What Parents Need To Know” was written by Keystone Treatment Center (Sioux Falls, South Dakota) clinical team member Kathryn Taylor, MA, LPC/MHSP. Kathryn has several years of experience working in dual diagnosis addiction treatment, women’s issue, and trauma treatment as a licensed mental health counselor.